I like reading autobiographies of spiritual masters because they often share their personal experiences on their spiritual paths and how they relate to spiritual truths; instead of merely regurgitating other spiritual texts. They share the mistakes they made and how they overcame them. We can then learn from these mistakes without actually going through them ourselves. I had trained my mindfulness so well that there was stillness and calm throughout day and night. Sometimes I would converge and enter into the ‘bhavanga’ and totally disappear for many hours. This, however, is certainly not the way that allows wisdom to be born. I had been trying to correct this tendency for a long time, both by my own efforts and by asking others for help. 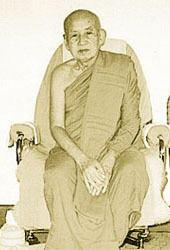 Venerable Kheung was particularly gifted in the faculty of knowing another person’s mind. If something was preoccupying anyone’s mind or if someone had committed any breach of monastic Rule, it would be detected by him. I left Venerable Kheung to watch over our belongings in an abandoned monastery at the foot of the mountain, while I climbed the ridge to find a suitable place to stay above. It happened that a young woman came strolling by, flirting with some of the local men. Venerable Kheung saw this and he too became intensely excited. When I came back down from my place on the mountain and saw the state that he was in, I tried to counsel him and recommended various ways he could use to still the emotion – but without success. The next morning during the meal, he had lost his temper with me over some insignificant issue. By the evening he had come to see me and admitted his fault. He related his experience of the previous evening when he had been overcome by lust at seeing the flirtatious woman. His meditation throughout the night had not been successful, and he came to take his leave to go off wandering alone. Three months later, we met again and I encourage him to make a fresh start, saying to him, “if you have enough determination, it is still possible for you to succeed. Please, just be done with it and start afresh”. But he wouldn’t accept this advice and afterwards, I learnt with great regret that he had disrobed. 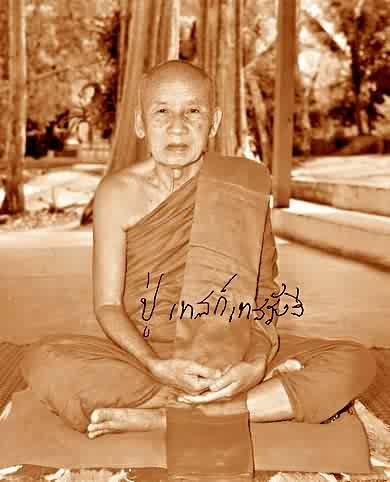 Venerable Kheung was adept at training his mind to enter tranquillity and he could remain in such a calm state all day and night. While walking around in seemingly quiet and ordinary way, in his mind, he would feel as if he was walking on air. While at other times, he might feel as if he had penetrated into the interior of the earth. Even though Venerable Kheung’s mind didn’t withdraw from concentration, he lacked wisdom to investigate the Three Characteristics. His powers were therefore only of the mundane sort, arising out of mundane absorption. Let alone Venerable Kheung, just consider Venerable Devadatta who had been able to consult with Prince Ajatasatthu by flying through the palace window – that is, until his abilities failed (Devadatta was the cousin of the Lord Buddha, who originally had mundane psychic powers but through jealousy and ambition, eventually tried to kill the Buddha and subsequently lost them). I found a way out for myself. This was by being ready to apprehend the heart when it was right at the point of convergence into bhavanga – At that moment the condition of awareness becomes unmindful and there is the inclination towards indulgence in the pleasure of the tranquillity and happiness. When mindfulness fades, the mind will converge into bhavanga. The thing to do is to apprehend it right at the point when it is fading towards indulgence in that refined tranquillity. Catch it there and swiftly set mindfulness onto a coarser object and focus and examine it more externally. Clearly, meditative absorption can become an obstacle if we do not develop our wisdom at the same time. Wisdom arises from awareness, self-observation and understanding. We develop wisdom by watching our thoughts, mental pictures, emotions and physical feelings. By watching them with full awareness, we develop an understanding of how mental suffering arises from our habits (especially our habitual thinking patterns) and how unnecessary they are. Through understanding, we learn to detach ourselves from our defilements so that they lose their power over us. Wisdom arises from awareness, self-observation and understanding. With awareness, we can learn from our experiences and observations in order to identify the causes of happiness and suffering. Without deep observation, some things may appear to bring happiness but actually brings much suffering for example, purchasing something which we cannot really afford appears to bring happiness at first but the suffering that it may subsequently bring may far outweigh the initial euphoria of obtaining the object. However, because our observation power is only superficial, we are not able to relate the suffering that arose subsequently to the initial act of obtaining that object. If we look even deeper, we can also observe how the desire for the object arose at the first place and how that desire was the root of the problem. I didn’t need to sit and close my eyes, for meditation was always developing wherever I happened to be. Whatever I took up for examination, whether it was myself, other people, or even the landscape and scenery, it would all bring Dhamma discernment. Past memories and concerns – whether they were of worldly desires or not – were taken up solely with a view towards developing this enchantment with them all. A trance-like meditative state where all awareness becomes dysfunctional. teachings from spiritual masters in the ascetic practices (dhutanga) forest tradition are very inspiring as it offers a detail approach on how to practise meditation which is based on their own personel experiences. for further references, one can read 1, ‘patipada’ on venerable acariya mun’s path of practices 2.spiritual biography of venerable acariya mun. 3. teachings of venerable achaan chah.